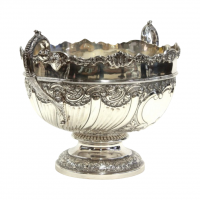 Antique English, Sterling Silver, Large Round 2 Handled Bowl With Hand-Chased Decoration Including Fluting & Embossed Flowers & Scrolling Acanthus, Each Side With Central Blank Cartouches. Bowl Stands On A Hand Chased, Round, Pedestal Foot. Made By John & William Deakin. 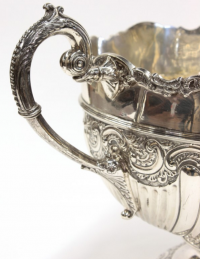 Hallmarked 1905. Great Size, Quality & Maker. 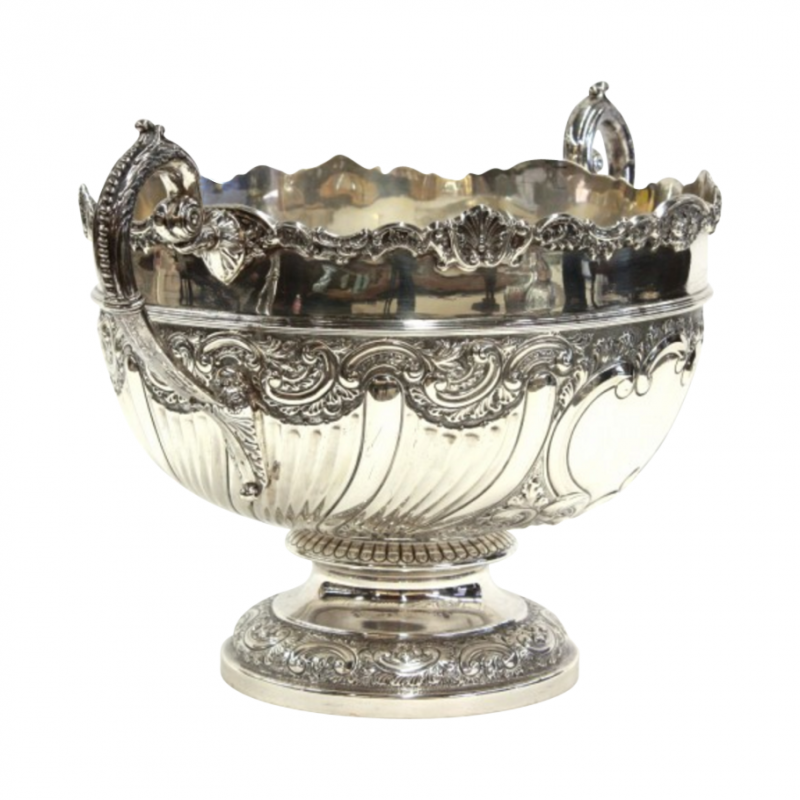 Decorative & Useable For Punch, Fruit, Flowers, Or Just As A Decorative Centerpiece. Diameter 14.5". Width Over Handles 22". Height 13.25". Weighs 4,370 grams.